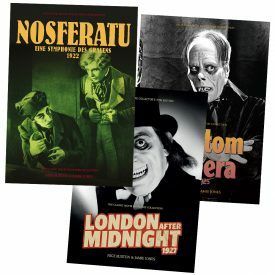 Luxurious guides to three classic silent horror movies, with combined low shipping rates! 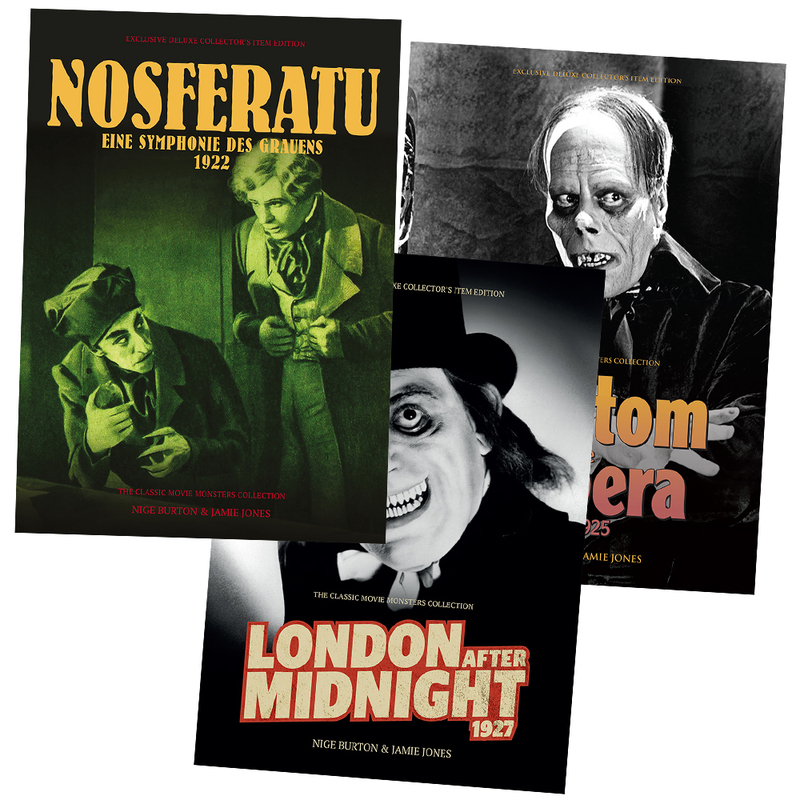 Take your love of horror films back to where it all began, with our trio of Ultimate Guide classic horror movie magazines on three of the silent era’s most memorable films. Each magazine is printed in luxurious full colour and produced to the very highest standard to reflect the lavish standards of the era, with a combination of insightful articles and biographies telling the story of each haunting entry in the annals of horror movie history. 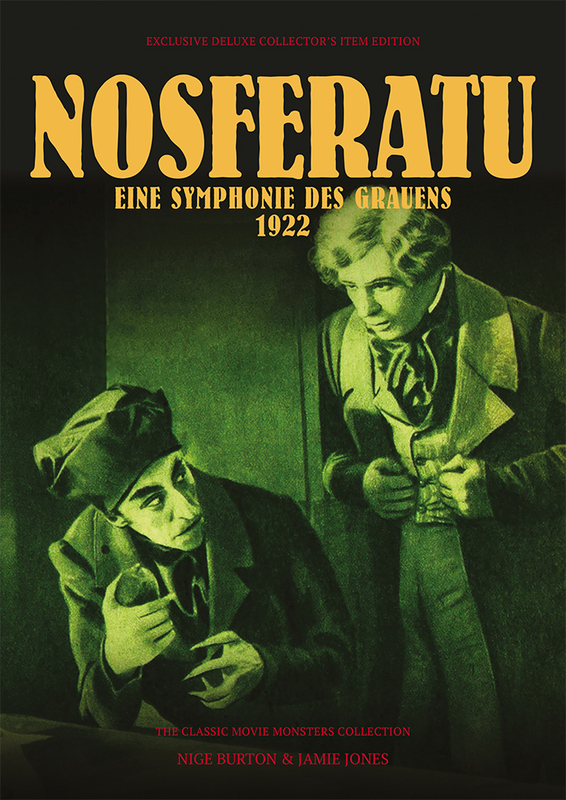 Nosferatu 1922: Though controversial in its day for its unauthorised use of Bram Stoker’s story Dracula, F W Murnau’s cinematic nightmare Nosferatu remains a powerful piece of filmmaking. 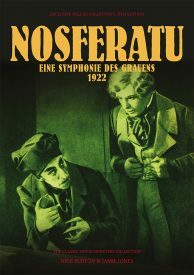 Our lavish Ultimate Guide is packed with beautiful images, artwork, information and trivia which will place you right at the sinister heart of this beloved motion picture classic, while a range of articles examines the impact that Nosferatu had on horror cinema and filmmaking more widely. 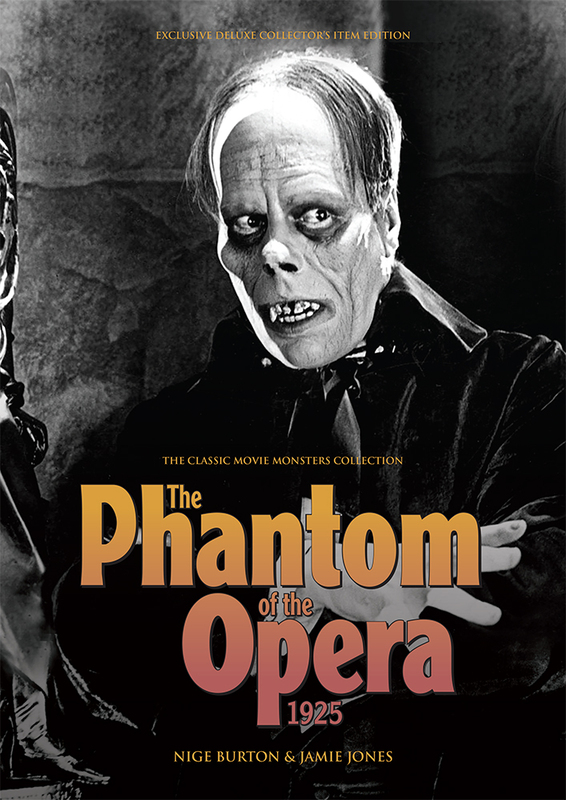 The Phantom of the Opera 1925: Feast your eyes on our guide to one of horror cinema’s all-time classics. 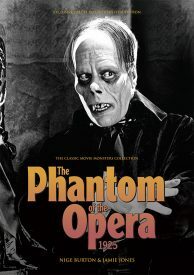 1925’s The Phantom of the Opera was a milestone in terms of atmosphere, thrills and chills; Lon Chaney’s astonishing make-up for his performance is, of course, the movie’s defining image, but it’s by no means the only aspect of the movie that merits a closer look, with the supporting performances from Mary Philbin, Norman Kerry and the “cast of 5000 others” making this a true cinematic spectacle. 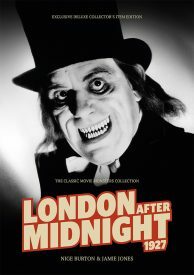 London After Midnight 1927: One of horror cinema’s most coveted lost films, London After Midnight is shrouded in mystery, with Lon Chaney’s performance as Inspector Burke and his saw-toothed alter ego showing the Man of a Thousand Faces at his eerie best. Our beautiful full colour magazine guide to London After Midnight takes a wide-eyed, hypnotic look at the people involved in the movie, as well as its production, its story and its disappearance, with details included from the movie’s original shooting script. 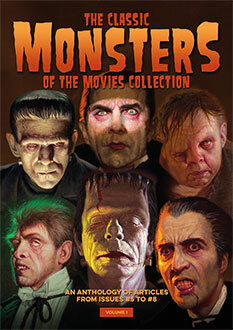 Our Silent Monsters Saver Bundle is the perfect way to immerse yourself in the early age of classic horror movies. Each magazine guide has its own unique mood that reflects the atmosphere of its respective film, and combined shipping means you can enjoy more chills for less.